Here you will find some of the very best games played by NBA Legends of the Boston Celtics. More games, and individual games of Boxsets, can be found in the relevant sections of our Shop. Incredible steal from Larry Bird in finals second of the game allow Celtics to take the lead in the series. A must-have for any Classic NBA fan! Commemorates one of the best players in NBA history! April 26, 1991: One of the more classic First Round series of all-time! The story of this series was Larry Bird's back and his heroic entrance during the 3rd quarter of a classic Game 5. A struggle between the aging Celtics led by Bird, Kevin McHale and Robert Parish and the upstart Indiana Pacers led by star Chuck Person and up and coming players Reggie Miller and Rik Smits. After this Game 1 Bird went to the hospital so he could enjoy a good night's rest. April 28, 1991: Chuck Person sets an NBA Playoff record with 7 three-pointers! Special Boxset Price for this 1992 Eastern Conference Semi-Final. Price will reduce when added to Basket. 1992 Eastern Conference Semi-Final: The Celtics last hurrah. The 1980's was the decade of the Magic and Bird, the Lakers & Celtics. With a rising star, Reggie Lewis, the Celtics led By Bird, McHale and Parrish had a legitimate shot to get back to the promised land. However, the upstart Cavs led by Brad Daugherty and Mark Price stood in their way. 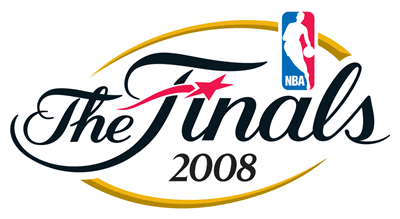 Series went 7 games and game 7 turned out to be the final game of Larry Bird's NBA career.